Autodesk Inventor is a high-end 3D design program specifically aimed at mechanical designers. It is a “digital prototyping” tool that allows designers to test and validate their products to ensure quality. Inventor helps you build better products faster and reduce development costs that can prevent your vision from coming to fruition in a cost-efficient, timely manner. Inventor is developed by Autodesk so you know it is a comprehensive software that is the industry standard. Its integrated motion simulation and assembly stress analysis allow you to test and validate prototypes without having to create physical versions. Simply input all of the characteristics, loads, and components and run the Inventor simulation to see how the product would work in the real world. This simulation helps you find high stress areas in the product, unnecessary vibration, high energy consumption, and other problems or weaknesses that could be improved before creating an actual physical prototype. Once you’ve ran the simulator, you can simply adjust that parameters you’ve entered and continue to test your product virtually before it is ready for a physical test run. The latest edition of Inventor allows you to create sketches in more ways and faster than in previous releases. The update also offers more modeling commands. The software also has an easy to use assembly tree that allows you to swap and move parts, a handy feature when designing products with hundreds or even thousands of different parts. Inventor Professional comes as a standalone software that retails for $7,295. 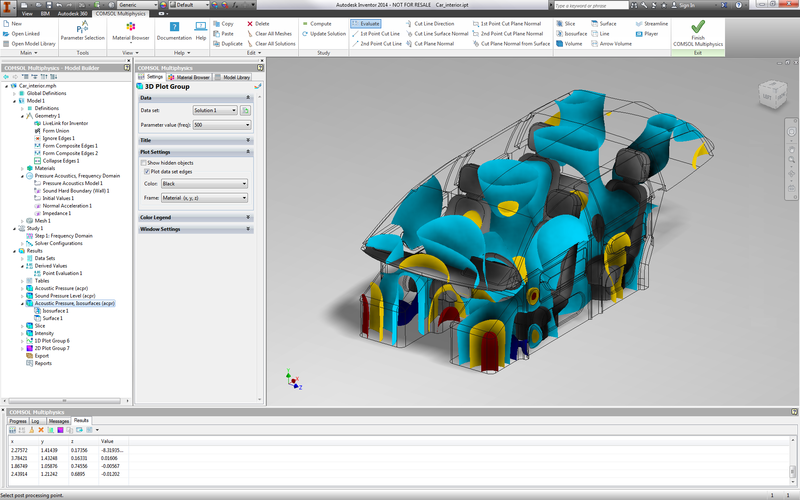 The basic version of Inventor 2014 is only available as part of the Product Design Suite Standard which costs $4,995. Inventor only runs on Windows and requires at least Windows 7, 4 GB RAM (8 GB recommended), 15 GB free space for the software (not including for saved files), and a Direct3D 9 graphics card (Direct3D 11 or higher is recommended).